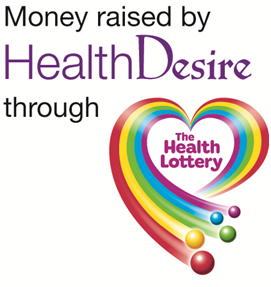 Centre Spot has received a £43,870 grant from money raised by HealthDesire through The Health Lottery. The funding will enable Centre Spot deliver the “Friar Park Sporting Champions” project. Addressing a lack of community activities for young people in the Friar Park estate in Wednesbury Centre Spot will deliver weekly simultaneous football and dance sessions for 50 young people aged 14-18 from the deprived Friary Park estate with a positive way to spend their free time. Sessions will be led by qualified coaches and instructors who live on the estate alongside experienced Mentors, with local young people who have previously participated inCentre Spot projects supporting as volunteers and peer mentors. Young people attending the dance sessions will work together to create routines that can be performed locally at small scale events whilst football participants will form a fortnightly football league attended by other local young people. Additionally the groups will work together to create annual award events to recognise their achievements. Positive outcomes will occur as the Mentors and volunteers use an informal approach to regularly support participants within sessions as well as young people formally completing a ‘Play Maker’ qualification. Project leader Dane Saunders, said: “This grant will help us expand our work in the community and enable us to target young people especially. The young people will have full control of the project, and will be heavily involved in its design and delivery”. HealthDesire is a Community Interest Company committed to raising money to address health inequalities in the West Midlands. This entry was posted in news on April 30, 2014 by manny.